"Passing it on is a key concept in the Twelve Step community and many of the traditions and knowledge of the Twelve Step recovery program have been passed down by word-of-mouth from one generation of sponsors to the next. Twelve Step Sponsorship effectively takes this knowledge and tradition and applies it to a working manual for sponsors, guiding them through their role in reaching out and helping new program members. 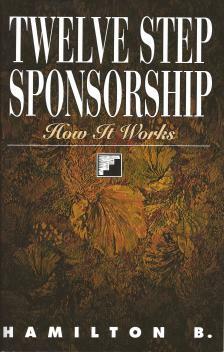 Designed as a how-to program for sponsors, Twelve Step Sponsorship offers: reading assignments, common questions that sponsors face, procedural suggestions for leading a newcomer through the Twelve Steps, and general guidelines for becoming an effective sponsor."